Now we begin the 'U' arm style. In Antique Brass, this lovely old style Colonial Chimney 6 light features etched hurricane shades. Perfect for that formal location where perfection is a must! Try it in an oval configuration for your rectangular or oval table. 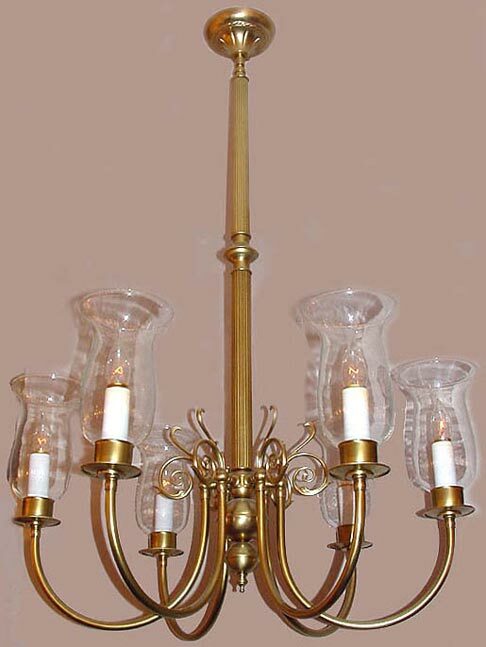 Also features reeded tubing for the center stem adding a gorgeous vintage feel of antiquity.